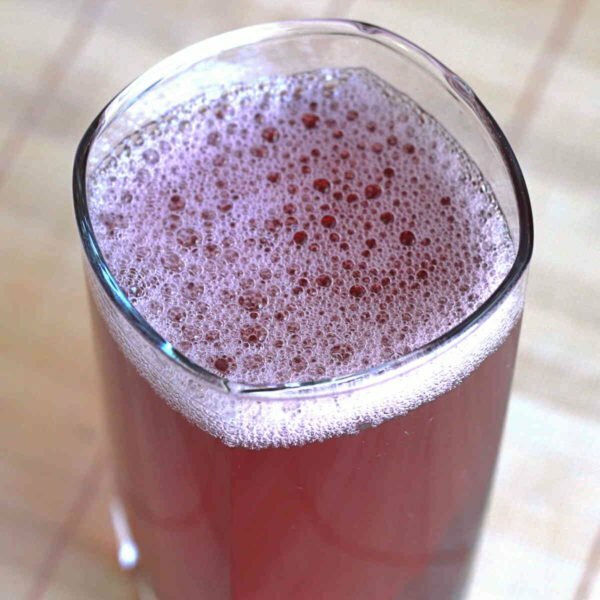 The Monopoly Cocktail is a fun, fruity drink recipe that features three ounces of liqueur as its only alcohol. That makes it about a fairly lightweight cocktail. It tastes as smooth as a strawberry soda. The various fruit flavors in this one are strawberry, cranberry, blackcurrant and wherever your particular brand of grenadine lands on the cherry-pomegranate spectrum. But they actually all blend into one note. The strawberry, blackcurrant and grenadine are syrupy sweet, but the big dose of cranberry and touch of lime counteract that with strong tart notes. It’s not a cloyingly sweet cocktail, but probably will be too sweet for some palates. 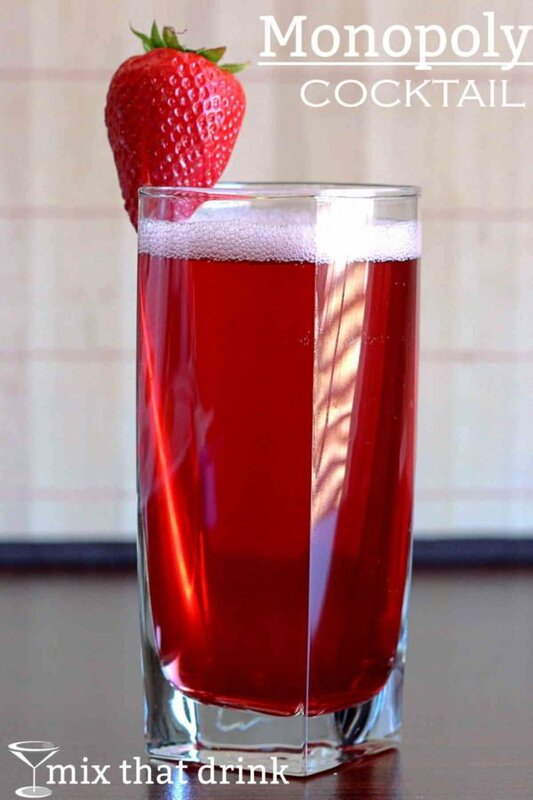 This drink is amazing to serve with plain cheesecake or any dessert that normally calls for a berry topping. Chocolate cake with no topping, served with this drink, is magnificent. Be forewarned, this drink has plenty of sugar and calories on its own, like any liqueur-based cocktail. If you like this one, check out the Strawberry Sunrise, which blends Creme de Fraises with orange juice and grenadine. You might also love the Berry Fusion Martini, which features Creme de Cassis with Hpnotiq, vodka and cranberry juice.